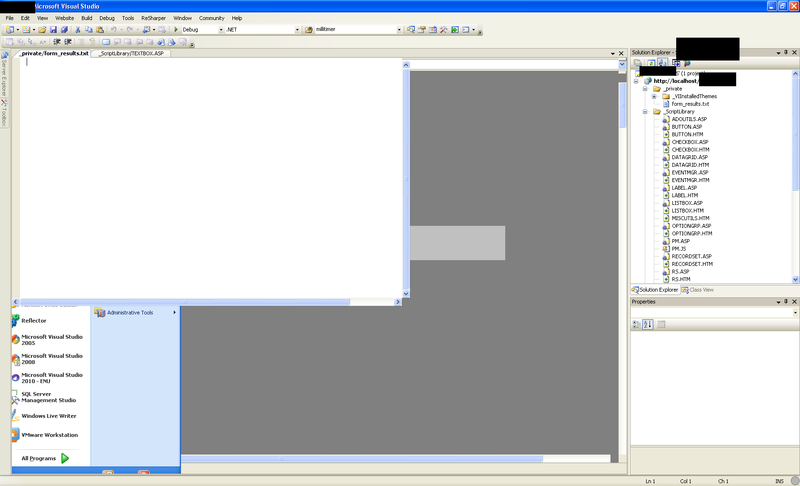 This is the first time I integrated R# 5 with Visual Studio 2005. I am having issues with the editors for .txt, .asp and .htm files. Other file types like .js, .config, open fine. See the screenshot. I did a change installation of R# 5 and removed the integration with Visual Studio 2005 and this fixed it for me. This has been discussed in http://www.jetbrains.net/devnet/thread/285203?tstart=0 - lots of us are seeing this. I have been too lazy to file a proper bug - perhaps somone else needs to. Is this still repro on a recent build? be broken given how few people try builds over the weekend.